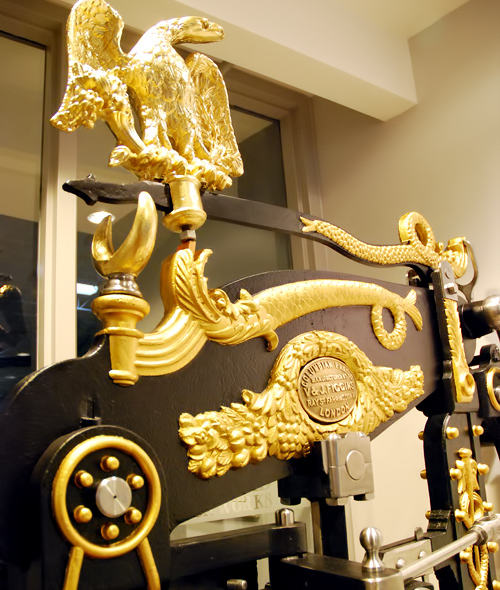 Figgins was a prominent English manufacturer who also built various other machines and sold sundries for the expanding printing trades. 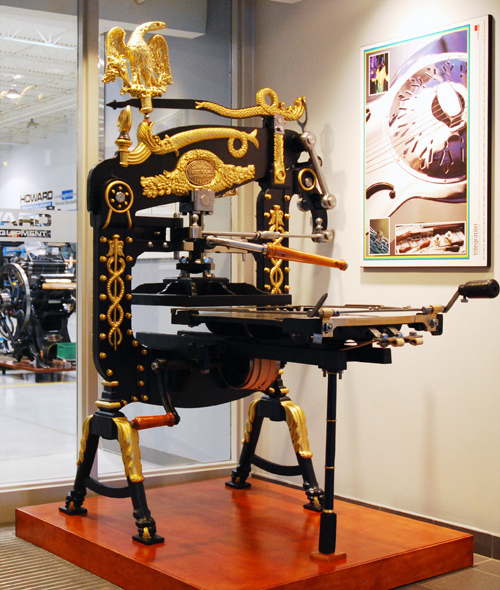 Once the original Clymer & Dixon patents expired, many machine shops set up to manufacture the highly successful Columbian. 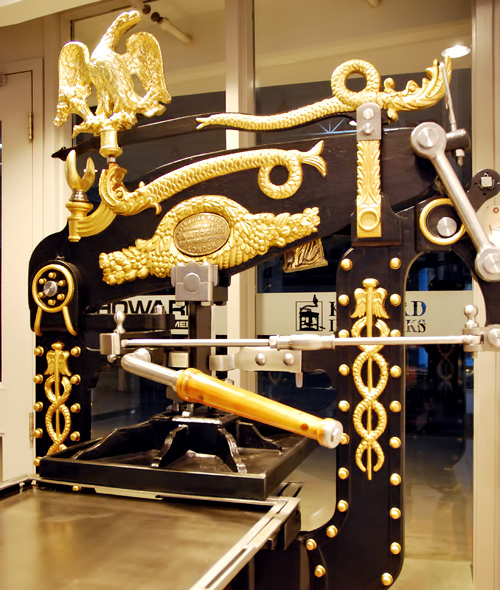 Unique in design and ease of use, Columbians were the first popular all iron presses in the world.